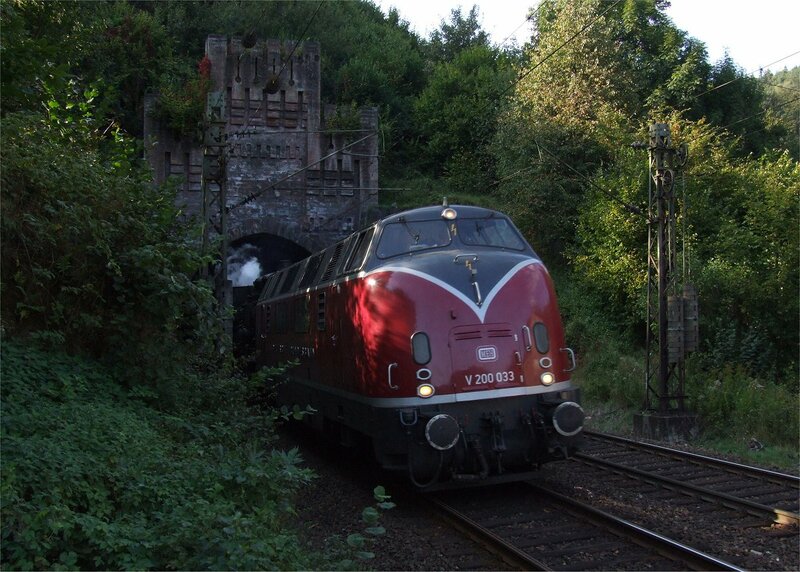 Across the world there are legendary locomotives classes that everyone wants to see and hear once again, long after their time has faded… some are easy targets to meet whilst others may never come to pass. 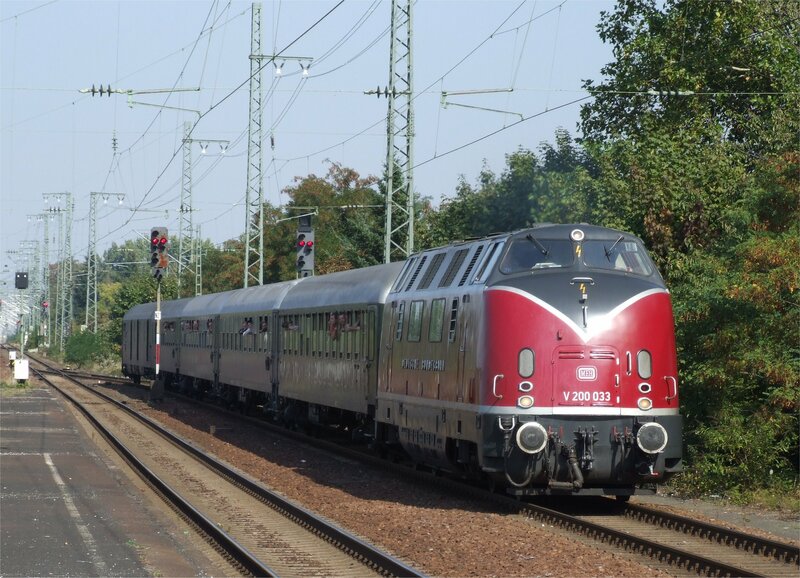 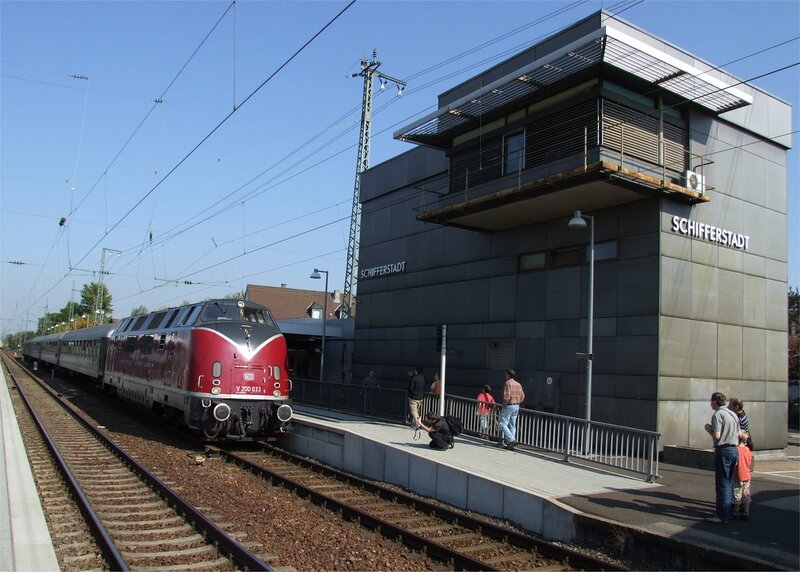 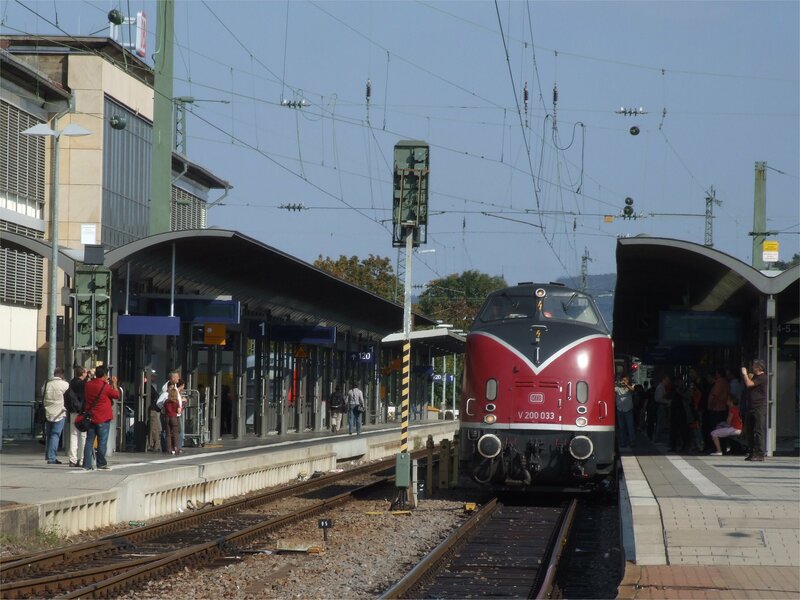 This weekend presented one such target in the form of the V200, a diesel-hydraulic express locomotive of the German Deutsche Bundesbahn, which lasted in service from the 1950s to early 1980s. 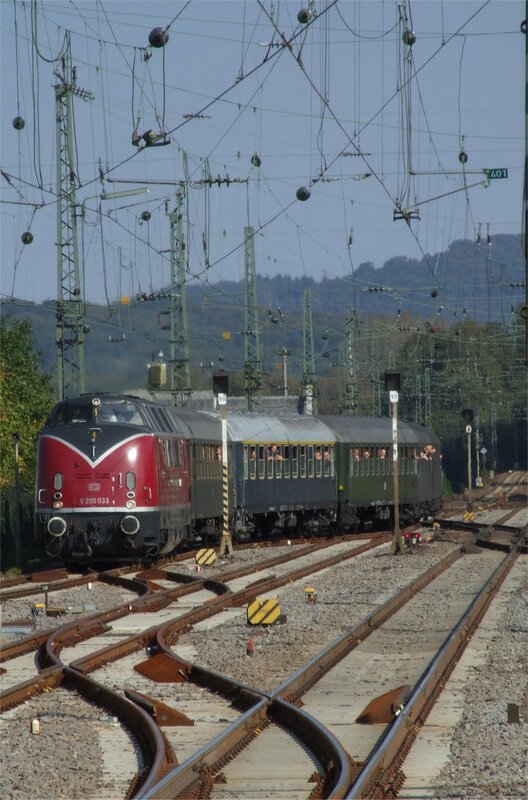 The survivor running this weekend was V200 033 which is owned and operated by the Museumseisenbahn Hamm. 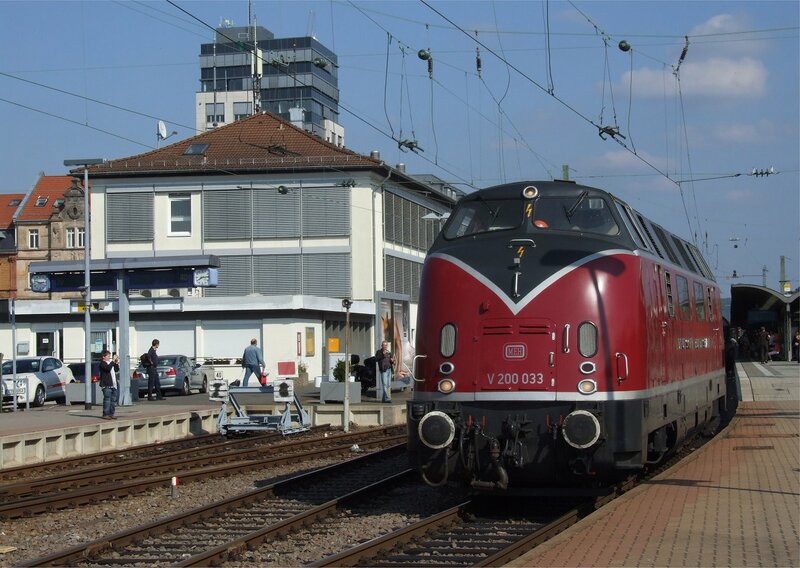 I caught my first glimpse of V200 033 at the tail of a service yesterday but the schedule today gave a better opportunity to see the locomotive in action. 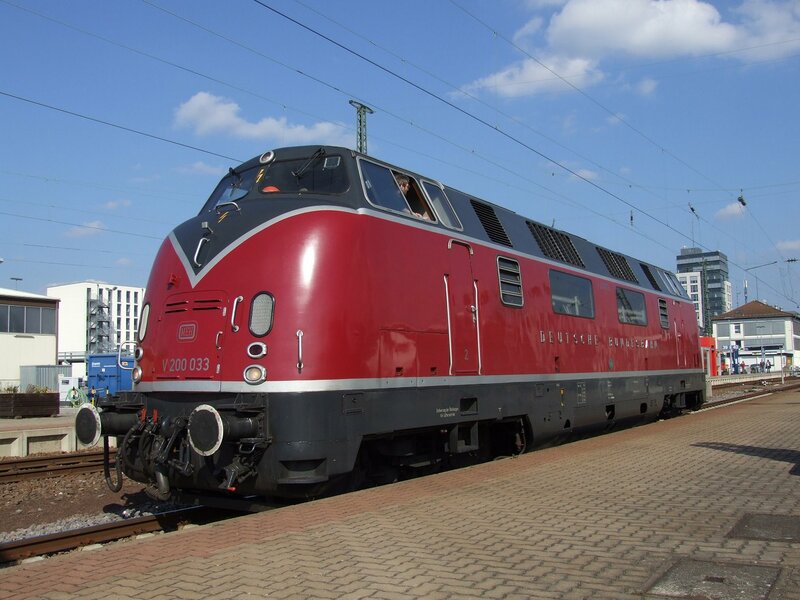 I’m not sure what makes the locomotive so special but there’s something about the design and the sound produced by its engines that is wonderful.